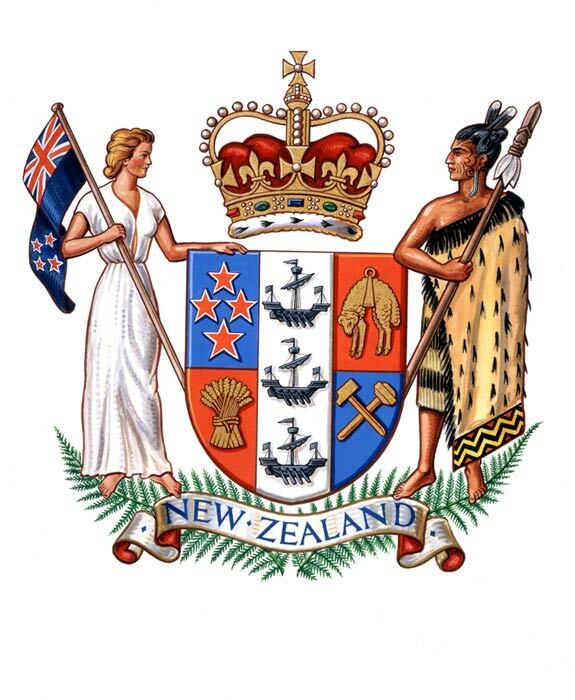 The New Zealand coat of arms, adopted in 1911 and revised in 1956, identifies New Zealand as a bicultural country, with a European female figure on one side and a Māori rangatira (chief) on the other. The symbols on the central shield represent New Zealand’s trade, agriculture and industry. The fern is a popular symbol of nationhood, and the crown a reminder that the country is a constitutional monarchy.